"Dawn Lerman grew up Jewish in the 70´s. I grew up Italian. Might sound different, but for the most part, it´s the same. Especially when it comes to food. The philosophy was simple, food = love. 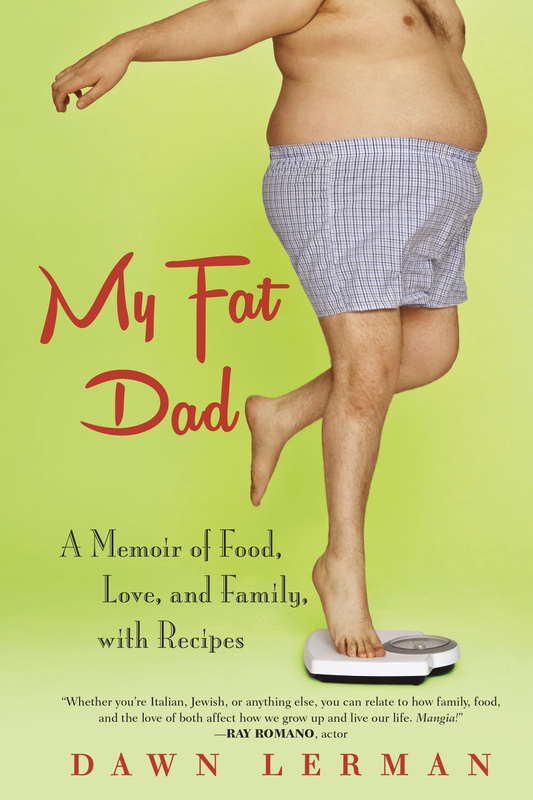 My Fat Dad hilariously and poignantly captures that essence Whether you´re Italian, Jewish, or anything else you can relate to how family, food, and the love of both affect how we grow up, and live our life. Mangia!" "Everything you want in a book about food: Thoughtful, moving, funny and, of course, delicious (see the recipe on sweet potato latkes). Dawn reminds us that eating is about much more than protein and carbs and nutrients—it´s about family, history and identity. Dawn´s grandmother put it best: ´I can find my heritage in a bowl of soup." "Dawn Lerman takes the reader along on one of life´s important journeys—to find true nourishment. Her discoveries about the powerful ways that food connects us to our families, our heritage, and ultimately to ourselves are profound and beautiful." "Laced with love, family dramas, recipes, and the pangs of growing up, Lerman’s memoir is a satisfying treat. ."